LOS ANGELES – Celebrating the 50-day countdown to the 2018 FIFA World Cup Russia™, FOX Sports unveils an all-star lineup of international broadcasters for this summer’s global event, airing on FOX and FS1 from June 14 to July 15. The best-in-class broadcast team of play-by-play announcers, match analysts, studio hosts and commentators combine for a wealth of international on-field and television experience, including FIFA World Cups™, UEFA Champions League, FIFA Confederations Cups, Olympic Games, UEFA European Championships, CONCACAF Gold Cups and FA Cups. Today’s announcement was made by David Neal, Executive Producer of FIFA World Cup™ on FOX and Vice President of Production, FOX Sports. 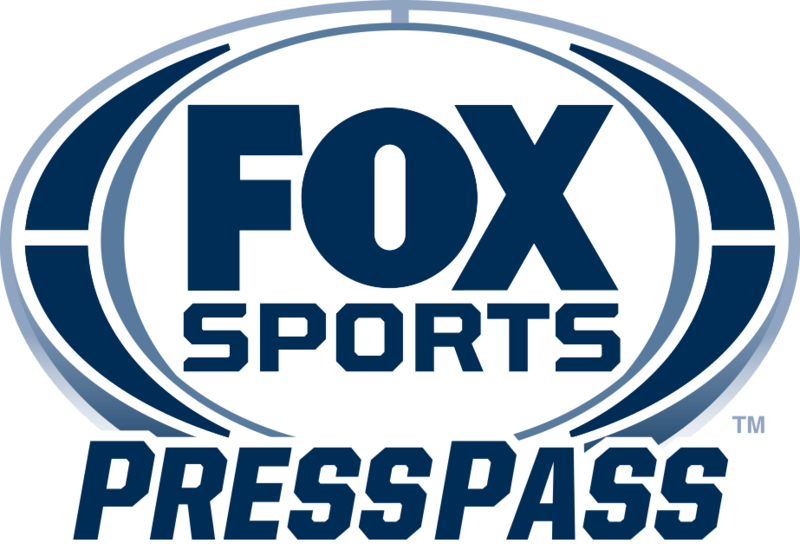 FOX Sports’ world-class roster is comprised of six broadcast teams led by play-by-play announcer John Strong and former U.S. Men’s National Team (U.S. MNT) midfielder Stu Holden. The duo will kick off their FIFA World Cup™ slate calling the highly anticipated Portugal-Spain match Friday, June 15 (2:00 PM ET, FOX). Renowned play-by-play announcer JP Dellacamera and former U.S. MNT captain Tony Meola are on the call as host country Russia open group stage action against Saudi Arabia on Thursday, June 14 (11:00 AM ET, FOX). Veteran play-by-play announcer Derek Rae, who has called every FIFA World Cup™ and UEFA European Championships for a U.S. network since 2008, is joined by two-time Olympic Gold Medalist Aly Wagner, who is set to make her debut as the first female analyst to call a Men’s FIFA World Cup™ game in the United States during Morocco-Iran on Friday, June 15 (11:00 AM ET, FOX). Glenn Davis calls his fifth FIFA World Cup™ alongside the all-time U.S. MNT caps leader, Cobi Jones, while Jorge Perez Navarro calls his first FIFA World Cup™ in English and fifth overall alongside Mexican international Mariano Trujillo. Rounding out the commentary team are FC Dallas play-by-play announcer Mark Followill and former English National Team member Warren Barton, kicking off their campaign with Egypt-Uruguay on Thursday, June 15 (8:00 AM ET, FS1). Rob Stone will make his debut as lead studio host on FIFA WORLD CUP™ TODAY with a rotation of studio analysts including FIFA World Cup™ Champion and record-holder for most appearances in a FIFA World Cup™ Lothar Matthäus, legendary coach Guus Hiddink, U.S. Soccer Hall of Famer and Sports Emmy nominee Alexi Lalas, England Women’s National Team all-time leading goal scorer Kelly Smith, Arsenal and Crystal Palace legend Ian Wright and Mexican goalkeeper Moises Muñoz. Argentine icon Hernan Crespo has also been newly-added to the FOX Sports studio analyst team. Crespo’s illustrious professional and international career spans nearly two decades, during which he amassed more than 300 goals, including 35 in 65 appearances over 12 years for Argentina. That ranks him third on Argentina’s all-time goals list, trailing only Lionel Messi and Gabriel Batistuta. Accomplished multilingual journalist Kate Abdo will anchor FIFA WORLD CUP™ LIVE, while two-time Emmy award-winning broadcaster Fernando Fiore hosts FIFA WORLD CUP™ TONIGHT. All studio coverage originates from a standalone set in Moscow’s iconic Red Square. FOX Sports’ impressive list of reporters includes Sky Sports’ lead reporter Geoff Shreeves, Russian journalist Maria Komandnaya, National Geographic’s Sergey Gordeev, FOX Deportes’ Rodolfo Landeros and Jenny Taft who has served as lead reporter for U.S. Men’s and Women’s National Teams. Sports Illustrated’s Grant Wahl serves as reporter-at-large, and Dr. Joe Machnik weighs in as rules analyst for the month-long tournament. John Strong brings a breadth of experience as FOX Sports soccer’s lead play-by-play announcer. He is the regular voice of many of the biggest matches FOX Sports has to offer across several properties including Major League Soccer, UEFA Champions League and U.S. Men’s National team competitions ranging from FIFA World Cup™ qualifying to the CONCACAF Gold Cup to Copa America Centenario. Stu Holden, former U.S. Men’s National Team (U.S. MNT) midfielder and member of the 2010 U.S. FIFA World Cup™ team, serves as lead game analyst for FOX Sports’ coverage of soccer. A former professional soccer player, Holden has represented the United States in the 2013 CONCACAF Gold Cup, 2009 CONCACAF Gold Cup and 2008 Beijing Olympics and had a prominent club career in Major League Soccer and England. JP Dellacamera, regarded as the original voice of U.S. soccer, serves as FOX Sports soccer’s play-by-play announcer. He brings decades of experience, covering 13 FIFA World Cups™ (eight men’s, five women’s), including eight FIFA World Cups™ in a row. Tony Meola, captain and goalkeeper for the 1994 U.S. FIFA World Cup™ team, serves as a FOX Sports soccer analyst. Meola played for U.S. FIFA World Cup™ teams in 1990, 1994 and 2002, spending an additional decade playing for multiple MLS teams. Derek Rae, a prominent veteran broadcaster, serves as a FOX Sports soccer play-by-play announcer. Rae has been involved in some capacity at every FIFA World Cup™ since 1990, and is a name closely associated with major international soccer events in America. He was most recently with BT Sport in the United Kingdom and can be heard often on the world English feed of matches from the German Bundesliga. Glenn Davis, a decorated broadcaster and also a former professional soccer player himself, is a play-by-play announcer for FOX Sports’ coverage of soccer. This summer’s FIFA World Cup™ marks the fifth men’s FIFA World Cup™ he has worked, in addition to his role as a FOX Sports play-by-play announcer for the 2015 Women’s FIFA World Cup™. Davis also is well-known for his play-by-play duties for the MLS Houston Dynamo’s local TV broadcasts, as well as his weekly radio show, “Soccer Matters with Glenn Davis” on Houston’s KFNC. Aly Wagner, a former mainstay with the US Women’s National Team, a Women’s FIFA World Cup™ veteran and a two-time Olympic Gold Medalist, serves as FOX Sports game analyst. This summer in Russia, she will become the first woman to call a men’s FIFA World Cup™ match. Already an accomplished broadcaster, she was a featured member of the FOX Sports 2015 Women’s FIFA World Cup™ broadcast team. Playing for the U.S. Women’s National Team from 1999 to 2008, she scored 21 goals and recorded 42 assists in 131 international matches. Cobi Jones, who holds the record for the most appearances (164) in U.S. Men’s National Team history, serves as a game analyst for FOX Sports’ soccer coverage. Jones has appeared with the U.S. MNT in three FIFA World Cups™. He also holds the record with the LA Galaxy for most games played (281), goals (66) and assists (86), and is one of only three players in MLS history to have netted 60 or more goals and 80 or more assists. Jorge Perez Navarro, otherwise known as “The Spanish Voice of Soccer in the United States,” brings a wealth of versatile experience as he shifts to English for FOX Sports’ broadcast as a play-by-play announcer. Having covered four FIFA World Cups™ and several other international and domestic competitions, he has been a prominent contributor to FOX Sports’ 2018 FIFA World Cup™ qualifier and 2017 FIFA Confederations Cup coverage. Mariano Trujillo, a former Mexican National Team member, serves as a FOX Sports soccer analyst. Trujillo made his professional debut in Mexico in 1996, playing on various teams over the next decade. In 2009, he joined Chivas USA in MLS, and stayed with the team through the 2011 season. After his playing career, he coached in the Mexican league, then moved to broadcasting, working at FOX Deportes, as well as on FOX Sports’ coverage of numerous international soccer tournaments. Mark Followill is a FOX Sports soccer play-by-play announcer. He has called games for FOX Sports’ coverage of the Copa America Centenario, CONCACAF Gold Cup, UEFA Europa League, Bundesliga, MLS, FIFA U-17 World Cup™ and the FIFA U-20 World Cup™. Warren Barton, a FOX Sports soccer studio analyst, played for the English National Team. While playing for the Premier League side Newcastle United as a defender with the elite group of players known as “The Entertainers,” he served as team captain during the 2000-01 campaign and participated in every major European cup competition. Hernan Crespo, the legendary Argentine striker, serves as a FOX Sports studio analyst for FIFA WORLD CUP™ TODAY and FIFA WORLD CUP™ TONIGHT. Crespo’s illustrious professional and international career spans nearly two decades, and he remains third on the list of all-time goal scorers for Argentina, for whom he played in three FIFA World Cups™. Crespo in 2004 was named among the FIFA 10, Pelé’s list of the world’s greatest living players. His club career includes championships in both England and Italy, where in 2000 he was the world’s most expensive player when he moved from Parma to Lazio. Guus Hiddink, a Dutch football manager and former player, serves as a FOX Sports soccer analyst. Hiddink has one of the most impressive coaching pedigrees in the soccer world, taking three nations to a FIFA World Cup™, including South Korea’s legendary run to the semifinals in 2002. In addition to managing elite club teams including Real Madrid and Chelsea, Hiddink is a former manager of the national team of 2018 FIFA World Cups™ hosts Russia, where he remains a sporting celebrity to this day. He returns to FOX Sports, where he was part of coverage of the 2017 FIFA Confederations Cup. Alexi Lalas, a standout defender on the U.S. Men’s National Team (U.S. MNT) during the 1994 FIFA World Cup™, serves as a game and studio analyst for FOX Sports’ coverage of soccer. One of the sport’s most recognizable personalities, Lalas is a member of the National Soccer Hall of Fame. Lothar Matthäus, winner of both the FIFA World Cup™ (1990) and Euros (1980) and all-time FIFA World Cup™ leader with 25 games played, is a FOX Sports soccer studio analyst. The 1991 FIFA World Player of the Year, Matthäus was Germany’s team captain for the 1990 and 1994 FIFA World Cups™, also scoring two FIFA World Cup™ runner-ups (1982, ’86). Moises Munoz, a Mexican national team goalkeeper, serves as a FOX Sports soccer analyst. An active player in his 20th professional season, he is the starting keeper for Puebla of Liga MX. He has 19 international caps for Mexico, was a member of multiple FIFA World Cup™ qualifying cycles, and served as the starting goalkeeper for Mexico’s 3-2 win over the United States in the 2015 CONCACAF Cup playoff match that sent El Tri to the 2017 Confederations Cup. Kelly Smith, a retired English star forward, serves as a FOX Sports soccer analyst. She recorded over 100 caps for the England women’s national football team and is England’s record goal scorer with 46 goals. In college in the United States, Smith broke records with Seton Hall University, then played professionally in various women’s pro leagues in both the United States and England, where she starred for Arsenal. She worked for FOX Sport’s 2015 Women’s FIFA World Cup™ studio coverage and is a television analyst in her native United Kingdom. Ian Wright, Arsenal and Crystal Palace legend, serves as FOX Sports studio analyst for soccer. Wright enjoyed an illustrious career with Arsenal, scoring 185 goals, winning a Golden Boot his first season, and earning the title of top scorer for the club six seasons in a row. Rob Stone is the lead studio host for FOX Sports’ coverage of soccer, college football and college basketball. He also anchored the network’s daytime studio programming during the 2015 Women’s FIFA World Cup™. A recent inductee to the CT Soccer Hall of Fame, Stone was an All-Conference midfielder for Colgate. Kate Abdo, an accomplished journalist who has covered events around the globe, joined FOX Sports full-time in 2017. She came to the network from Sky Sports in the UK, where she had worked since 2014, and hosted the Emmy-nominated nightly wrap-up show, WOMEN’S FIFA WORLD CUP™ TONIGHT during FOX Sports’ coverage of the 2015 Women’s FIFA World Cup™. Fernando Fiore is an Emmy Award-winning broadcaster and contributes to FOX Sports’ expanding soccer portfolio. He made his English-language television debut with FOX Sports in 2016 during Copa America Centenario and also contributed to the network’s coverage of the 2017 FIFA Confederations Cup. Ian Joy joined FOX Sports in 2016 as the network’s lead host for Bundesliga coverage. A former player in Bundesliga and Major League Soccer, Joy spent time as a commentator at beIN Sports before joining FOX. Rachel Bonnetta (Digital) holds a variety of digital media roles across major FOX Sports events and properties. She joined the network in 2016 after working as an on-air host with Major League Soccer, and has since been part of FOX Sports’ Super Bowl LI, Westminster Kennel Club Dog Show and BIG3 Basketball coverage. Sergey Gordeev (National Geographic) is a journalist with years of experience reporting around the globe, specializing in cultural stories. A graduate of the Columbia Journalism School with a Master’s degree in broadcast journalism, he is fluent in English and Russian and has spent time working in New York and Moscow. Maria Komandnaya is a Russian journalist who has worked with FOX Sports previously during the network’s coverage of the 2017 FIFA Confederations Cup. She co-hosted the 2018 FIFA World Cup™ Draw live from State Kremlin Palace in Moscow and is well known for her work with Moscow FM and Match TV. Rodolfo Landeros is a Mexican reporter and television commentator who also works as an on-air broadcaster for FOX Deportes. Prior to joining FOX Sports, Landeros worked with Univision Deportes where he gained popularity for his enthusiasm and engaging personality. Geoff Shreeves is a reporter from the UK who has also worked for Sky Sports and BT Sport. He contributes to Sky Sports’ UEFA Champions League coverage and has also appeared as a sideline reporter for Champions League coverage on FOX Sports networks. Jenny Taft is a versatile reporter for FOX Sports and is a key component of the network’s soccer, college football and supercross coverage. A lacrosse player at Boston University, Taft’s on-air career began with FOX Sports North before she joined FS1 for the network’s launch in 2013. Taft served as an embedded reporter with the U.S. WNT during the 2015 Women’s FIFA World Cup™. Grant Wahl is one of soccer’s leading journalists and is a senior writer covering the sport for Sports Illustrated. He contributes to FOX Sports’ coverage of the UEFA Champions League and U.S. Men’s and Women’s National Teams and was part of the network’s on-air lineup for the 2015 Women’s FIFA World Cup™. His new book, MASTERS OF MODERN SOCCER, drops next month. Dr. Joe Machnik is a former FIFA and CONCACAF Match Commissioner and was inducted into National Soccer Hall of Fame earlier this year. An All-America goalkeeper at Long Island University, he coached his alma mater to the 1966 National Championship Game and is believed to be the only person to play in the NCAA Soccer Tournament, coach in three NCAA finals and referee an NCAA Championship.